The Suffolk County Hate Crimes Unit discovered the damaged menorah at around 5:30 p.m. Monday. Sadly it won’t be repaired by Thursday evening. The Suffolk County police department was notified after a menorah was discovered to be damaged beyond repair in Ronkonkoma. The incident is said to have taken place around Monday evening. Police are not 100% sure if vandals are to blame but the type of damage done to it points in that direction. Authorities say this because it seemed as if the culprit -or culprits- took their time to break the menorah apart and smash the bulbs. 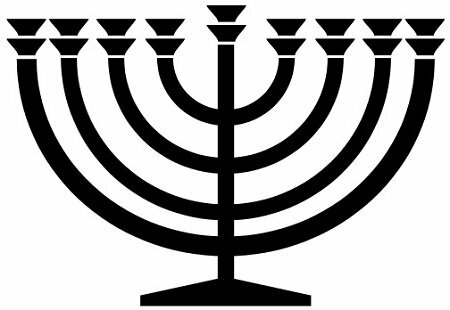 A member of the Hate Crimes Unit in the SCPD found the damaged menorah, which stands by the Ronkonkoma Chamber of Commerce in Raynor County Park, at 5:30 p.m. Whoever was responsible for disfiguring it broke two of the arms that supported the lights. They also ripped out the bulbs and broke off the top of the menorah. One of the branches of the menorah was said to be lying on the ground still lit up despite being taken off. The chamber says the damage cost about $2,000 and they sadly won’t be able to fix it before hanukkah ends on Thursday evening. Anyone with information on the incident which took place outside the Ronkonkoma Chamber of Commerce is being asked to call the Suffolk County police Hate Crimes Unit at (800) 220-TIPS. All calls will remain anonymous. Subject: LongIsland.com - Your Name sent you Article details of "Ronkonkoma Menorah Found Vandalized Monday Evening"